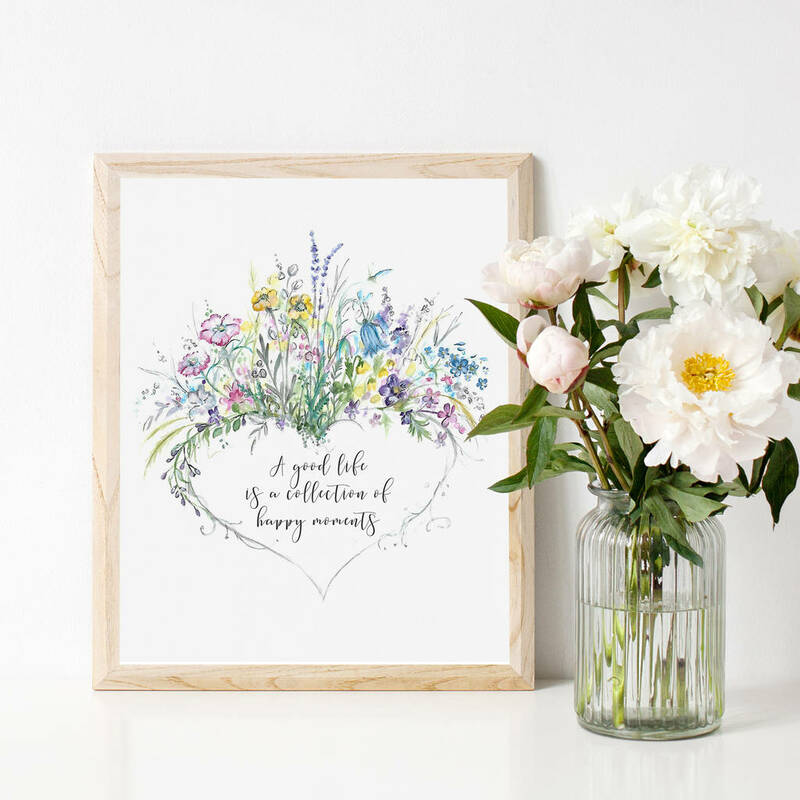 A lovely inspirational print for families and loved ones - with the wording 'A good life is a collection of happy moments'. 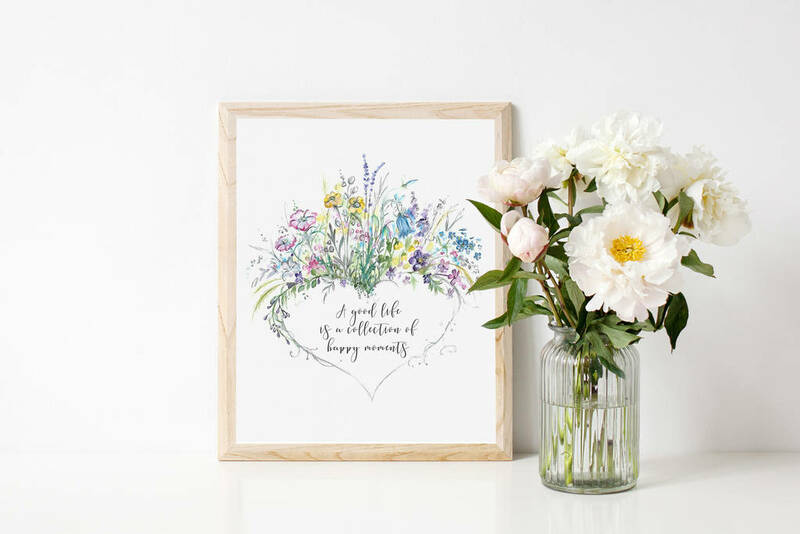 Featuring a beautiful illustration by Welsh artist Amy Swann, you can trim this A4 print to fit a standard 8 x 10" photo frame or keep it as the A4 size it's sent. This product is dispatched to you by By Moon & Tide Calligraphy.